Truck brakes have to stand up to greater stress than standard vehicle brakes. They aren’t just supporting a small amount of weight, but have to stop a vehicle that often weighs multiple tons. Making sure your truck’s brakes are installed correctly and properly functioning protects you, your vehicle, and your passengers. For truck brakes in Mesa AZ, get diagnostics, repairs, and replacements from the experts at Straight Line Suspension. Choose RV and truck brake specialists. With more than 50 years of experience between our president and service manager, we know RVs and trucks. When you get your truck’s brakes worked on at a “standard” shop you aren’t getting the detailed service you need. We understand how load amounts and locations affect brakes, their stopping abilities, and their wear patterns. Depending on your vehicle you may benefit from specific pads, drums, or rotors. We can also look at your setup, alignment, and speak to you about your hauling needs. In addition to making sure your trailer and vehicle can handle what you throw at it, we’ll make sure you have the correct amount of stopping power in any situation. Don’t be unprepared when your loaded rig needs to stop—come to Straight Line Suspension. Truck Brake Diagnostics: If you’ve been experiencing any brake problems our technicians will diagnose your brakes. We will check fluid levels, hose condition, pad wear, caliper wear, rotor wear, and more. 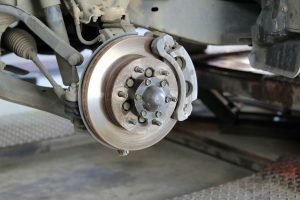 Truck Brake Repairs: We can fully repair your truck or RV brakes. Repairs are performed by certified technicians using the highest quality replacement parts. Truck Brake Replacements: Whether you need front brakes, drums, rotors, lines, or another area of your vehicle braking system replaced, we have you covered. Contact us for truck brakes today! We don’t just provide complete truck brake servicing, we also provide parts. If you’re looking for a DIY solution stop on by and we’ll find you the exact brake system parts you’re looking for. Don’t settle for mediocre service from a standard shop—get incredible service from Straight Line Suspension. 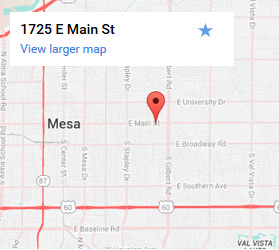 We specialize in truck brakes in Mesa, AZ so you don’t have to. Call or contact us today.